I had planned to update this blog every night of SHO, which as it turns out was very naive. 12 hours on my feet at the Con, organising games, greeting and directing patrons, curating the board game library, networking and discussing my products, and all the little 1% things that you dont really consider (Do the DMs have water? Who owns this character sheet/dice/bag/water bottle?) made for a very long day. Combine that with travel time and its a 15 hour day. No time to blog. Barely enough time to sleep. So, a day after the Con finished and after a good night’s rest, I now give you the highlights. The RPG floor consisted of one greeter desk/Pyromaniac press booth, 11 RPG tables, a workshop area, a panel area, 6 tabletop wargame clubs and around a dozen tabletop wargame demo layouts. I spent my days engaging with the public, directing traffic and answering queries, scheduling games, rescheduling games when – inevitably – things didnt go to plan, and occasionally promoting myself and my work. It was actually a lot of fun. I do enjoy talking to people, and knowing that you are facillitating RPG fun for hundreds of people is pretty gratifying. Each day was a mix of various games, from the ubiquitous D&D Adventurer’s League (including some early released season 8 content, and my CCC), a Kids D&D table (very popular), a Pathfinder 2.0 playtest, some cool D&D homebrew (Lair Assaults and an ‘Escape the Volcano’ scenario), Legend of the Five Rings, Shadowrun, Numanera, Honey Heist and more. We also ran new player workshops, DM workshops, a panel on self publishing RPGS, a panel on Professional DMing, and closed the Con with an amazingly entertaining Improv D&D session, where our two DMs (Rhys & Michael) took turns more or less inciting the audience to assault the other with foam weapons to the thin veil of a story. It was exhausting, and absolutely one of the most fun and rewarding roles I’ve undertaken in some time. A year ago, before heading to PAX, I posted here that the inaugural SHO had potential, but the treatment of RPGs as an afterthought really didnt do the games or the Con any justice. It was my intent to change that. So how does this year compare? We had 24 volunteers this year to the 5 last year. We had over 150 hours worth of games running. We had a greeter engaging the public as they entered, and helping direct them to games and activities. By comparison it was a roaring success. Still, there are improvements to be made. There were 17 banners and signs to improve the professional and integrated look of the RPGs at the predominantly TTWG Con. These, unfortunately failed to clear customs in time and we were forced to go without. The timing also hampered the attendance. Many competing activities across the weekend in the city drew focus from the event, including a major sports event finals series being played locally. Finally, given the poor showing last year, I feel that we were building the audience from the ground up. Despite these barriers, the feedback from the congoers was overwhelmingly positive. 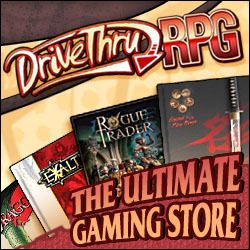 I had numerous requests concerning where to find games – or specific DMs – outside of the Con, and many first time players indicated they would be seeking to continue their experiance in RPGs. Kids games are in high demand. Our one DM dedicated to kids games was unable to satisfy all the interest in his table. On the second day we pushed him to the limit, adding extra games into the schedule and still couldnt keep up with demand. Only the really dedicated Con goers arrive at 8am. The peak period ran from 10am to around 4pm. Games scheduled before or after this time struggled for numbers. Some games are more Con accessible than others. D&D is fast, easy to pick up, and fun to play. Its one of the best Con games. Legend of the 5 Rings is a game with great depth, but requires more investment. Its a tough sell to the general Con goer who wants to roll some dice. Indie games – such as Lady Blackbird – may not garner any interest at all (unfortunately) if it is too obscure. DMs need playtime too. We were able to get every DM at least a game or two (even I found time for a short one), but ideally I’d like to try for a ratio of 50/50 DM/Play for the volunteers in future years. There’s no way to describe this as anything other than a complete success. There is still room to improve and grow, but the turnout and clear enjoyment of the patrons speaks for itself. I’ll definately be putting my hand up to run the floor again next year. This is a blog post I’ve been meaning to write for some time – almost 12 months in fact. About this time last year I attended a local convention in its inaugural year. Primarily tabletop wargaming in nature, it still featured a small RPG floor wth a few organised games and workshops. The idea was there, but the RPGs were a bit of an afterthought. I saw potential, and approached the Con owners with a few suggestions for the next year. I also attended PAX Aus the month after, and returned with an even more refined concept. After another conversation with Mike and Emma I was committed to writing a D&D Adventurer’s League CCC for the Con, with the ambition to run it there. Soon I was assisting to co-ordinate the RPGs. Not long after I was committed to running the RPG floor. This is very new territory for me, but thankfully Mike and Emma are now hardened veterans. Flash forward, and the last month has seen a flurry of activity. My CCC will premiere the Con, and headlines an exciting line up of great games. We now have 24 DMs, panelists and volunteers with more than 170 hours of RPG games and events scheduled across the three days. I’m excited, elated and terrified. Over the next three days I’ll bring you all the action, ups and downs of SHO 2018. Stay Tuned!